Why no Emma Coburn DQ? Anyone know what happened to Laura Roesler? 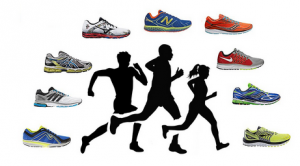 Put all the best runners 5000+ on a track. Off they go! Anyone lapped is eliminated. Last man standing wins. Who is it? 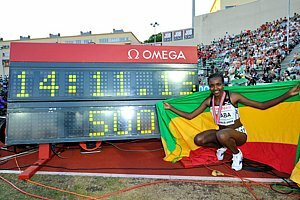 World Record Attempt LRC Paris 5k Preview: Almaz Ayana & Genzebe Dibaba Will Battle For The Win – And The World Record?? In 16 additions of the Meeting Areva in Paris, a World Record has never gone down. 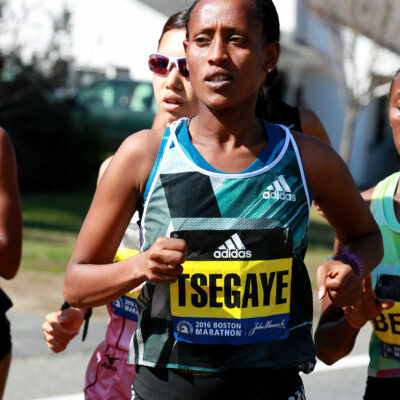 Ayana (14:14 PR from Shanghai in May) and Dibaba (14:18i PR from Stockholm in February) will be looking to change that in a field that is truly comparable to better than a World Championships final. Behind them, the race contains the top four finishers from World XC and the top 7 fastest women over 5k in 2015. Preview Of Women’s 800: Can Upstart Fiona Benson Beat Olympians Melissa Bishop And Jessica Smith? Annie LeBlanc, aka Mary Cain slayer, will also race. Preview Of Women’s 1,500 Former NCAA champ Sheila Reid will battle World Indoor bronze medalist Nicole Sifuentes and Commonwealth Games bronze medalist Kate Van Buskirk. Comrades Winner Caroline Wöstmann Has Now Set Her Sights On 2016 Olympic Marathon She’s running NYC in October and hoping to vastly improve her 2:44 PR. 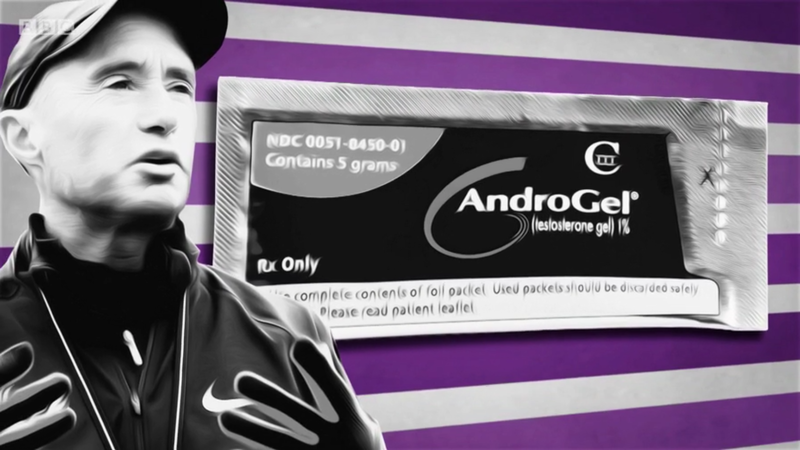 More Doping News: Victor Conte Thinks Use Of IGF1LR3 Is “Rampant” – Says He’s “Heard Hundreds Of Athletes” That Are Microdosing 7mg Of Testosterone A Day Both forms of cheating appear to be nearly undetectable and the IFG1LR3 only costs $200 for a 40-day supply. Alan Abrahamson Pans New Boston 2024 Bid – “Bid 2.0 is DOA” He urges the USOC to pick LA for 2024 or 2028. 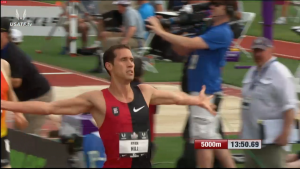 M5,000: LRC Ryan Hill Wins It As Galen Rupp Almost Misses Out On Making U.S. 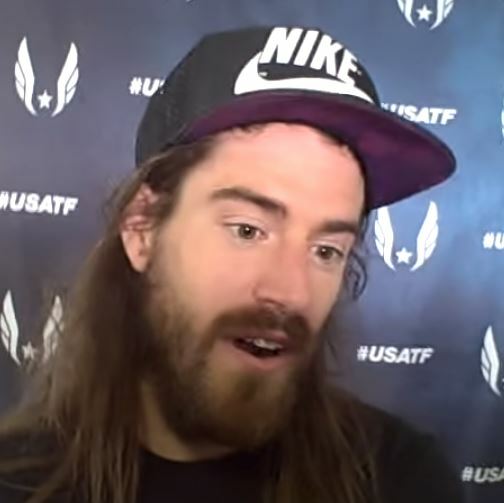 Team At 5,000 Rupp was beaten by an American, make that two, for the first time since 2013. *MB: Holy ***!! Ryan MF Hill takes down Rupp. 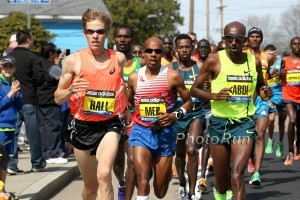 Hill 1, True 2, Rupp 3. 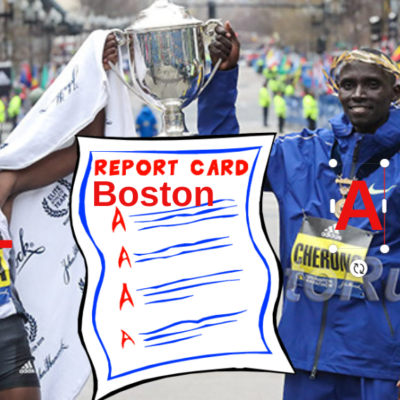 Bernard Lagat is left at home. Recap coming. M800: LRC Nick Symmonds Is Back, Symmonds Wins 6th US Title As Erik Sowinski And Cas Loxsom Punch Their Tickets to Beijing Duane Solomon took this one the “Twilight Zone.” Symmonds was smart enough to stay away from that zone and then mow down the field in the final 200. W1,500: LRC Jenny Simpson Repeats In A Wild Women’s 1,500 10 women had a shot at the team with 100 to go. 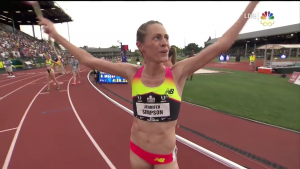 Simpson and Rowbury went 1-2 but guess who got 3rd and 4th to punch their tickets to Beijing? w800: LRC Supermom Alysia Montano Is Your 800m Champion!!! Simply unbelievable as Alysia Montano, less than one year after giving birth, beat a tremendous women’s field including one of the favorites for Worlds, Ajee Wilson, who lost a shoe and held on to make the team. Steeple LRC There’s Never Been A Better Steeple At USAs As Evan Jager Leads The Way As Top 3 All Beat Previous USA Meet Record Evan Jager led a record brigade as the top 3 all broken Dan Lincoln‘s previous USATF meet record. W5,000: LRC Nicole Tully Edges Marielle Hall Hall To Claim Her First US Title In Thrilling Race – Abbey D’Agostino Third This race had everything a distance fan would want – fast pace, PRs all over the place and an amazing finish. Now a woman who only scored once at NCAAs and who only had previously been 10th at USAs is the national champ. AP Day 3 Recap: Allyson Felix Wins 400, Unsure If She’ll Do It At Worlds – Gatlin Runs 19.92 In 1st Round Of 200 If Felix doesn’t run it, it will be a break for 2015 World #1 Francena McCorory, who was 4th. 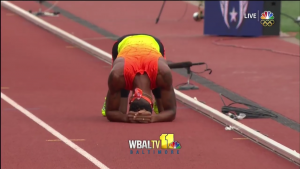 LaShawn Merritt also was beaten in the men’s 400. IAAF Day 3 Recap: Tianna Bartoletta Jumps World-Leading 7.12m At US Championships Sharika Nelvis ran 12.37 in the 100H semis but then was only 2nd in the final. Mississippi State Flag Missing From Display At USATF Outdoors There is a reason (look to the right). Jamaica: Natoya Goule Rebounds From 6th At NCAAs, Wins Jamaican Nationals With 1:59.63 PR She dragged Simoya Campbell to a huge 1:59.92 PR in 2nd (previous 2:01.59). Pig Sooie: Arkansas’ Omar McLeod Wins Jamaican Nationals In World-Leading 12.97 The NCAA champ, who is going pro after 2 years at Arkansas, is the only man in the world under 13.00. He smartly is still running in Arkansas gear as the price will only rise. Elaine Thompson Wins 200 (22.51) Over Sherone Simpson (22.77) And VCB (23.04) At Jamaican Nationals. 20-year-old Javon Francis won the men’s 400 in 44.70. Meanwhile, Olympic 400H champ Melaine Walker‘s switch to the 100H continues to go badly as she failed to make the final. LRCKara Goucher Speaks Out After USATF 5,000m On Nike Oregon Project Doping Investigation: "I would welcome that opportunity for myself, for every former Oregon Project member, for every doctor that has been involved, to go under oath." 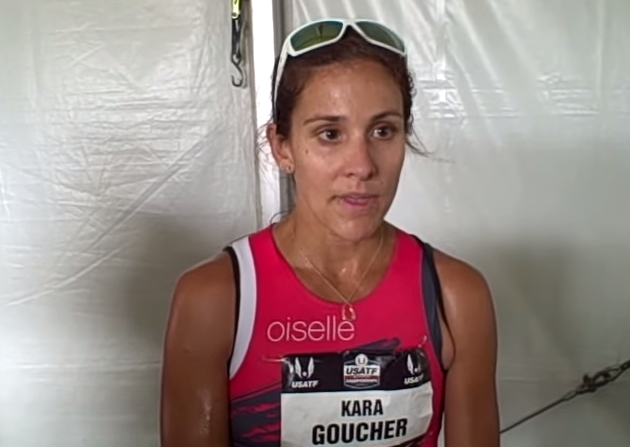 Kara Goucher said she doesn’t like being labeled a liar and said she will come out with a lot more information to show she is not one. AP Recap Of Day 4: Justin Gatlin Wins 200 In Meet Record 19.57 Texas A&M’s Shamier Little became the first to win the 400 hurdles nationals and NCAA championships in the same season since Sheena Johnson (UCLA) in 2004. 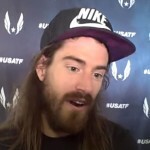 LRC W 1,500/M Steeple Prelims: Alexa Efraimson Goes Home While Mary Cain Advances; Evan Jager & Donn Cabral Look Great In Steeple The favorites advanced except for Efraimson while Evan Jager talked supplements and what about people who think he might be doping after. LRC 800 Semis: US #1 Boris Berian Goes Home, Nick And Duane Are Back Ready To Rumble, And What A Women’s Final We Have The 800 finals on Sunday are tremendous even without Boris Berian as Nick and Duane look like they are back just in time. 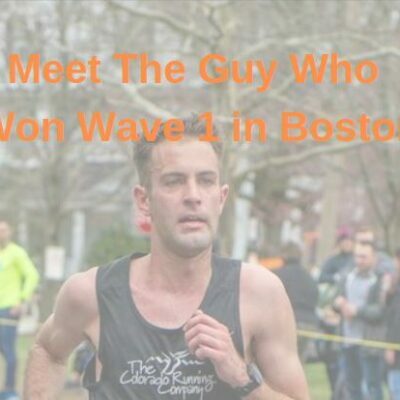 LRC: Nick Symmonds: “I owe Salazar an apology unless some better evidence comes out … this process is great for this sport.” Symmonds was impressed with Salazar’s rebuttal, thinks more evidence will come out, and praised the Gouchers and Steve Magness for coming forward and LRC for asking the tough questions. *Duane Solomon Going To Go To “Twilight Zone” And Take 800m Final Out At WR Pace Video. Friday Live MB Talk: 1,500 Semis: Order is restored. Mary Cain is in!! Alexa Efraimson is out!! Videos with both. 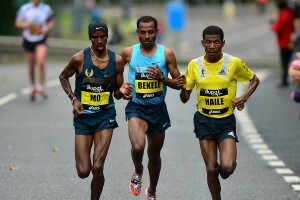 *800 Semis: Shocker In Men’s Race: Order is restored. Nick Symmonds is in!!! Boris Borian is out!! *Women’s 800 Final Is Gonna Be Unreal In heat 2, Wilson, Price, Vessey and Montano were within .09 of each other and that was just one heat. Good Read: Tim Layden Looks At The Good Things That Happened At USAs: Track And Field National Championships Show Uplifting Side Of Sport Jenebah Tarmoh qualifying in the 200 and Joe Kovacs win in the shot are examined. Expert On Team USA: “The US team will be the strongest for some years.” – Might Double # Of Golds From Moscow We only won 6 golds in 2013. Daily Relay: 15 Thoughts About USAs They think Centro Jr. looks ready for anyone. We agree. 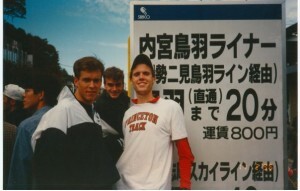 Nick Symmonds Tells You His Greatest Achievement, Rival, Disappointment, Etc. And Much More, Like His Favorite Venue Zurich gets the nod over Eugene in terms of venue as they allow gambling and beer. Poll: Boston May Not Want To Host The Olympics But 89% Of Americans Do The number falls to 61% wanting in their hometown. 2008 US Olympic Marathoner Magdalena Boulet Wins Women’s Western States Only 254 of 388 official entrants finished the race. NCAA Champ Rhianwedd Price Will Represent GB For 1st Time This Weekend, Raves About Coming To School At Mississippi State Her twin sister, the 2011 junior Commonwealth Games champ, will be joining her next year. 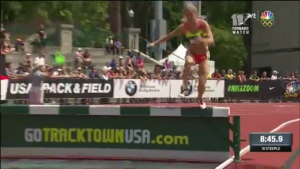 LRC Emma Coburn Sets Meet Record In Women’s Steeple As Stephanie Garcia And Colleen Quigley PR And Punch Their Tickets To Beijing Coburn was simply sensational, but also a little lucky to not be DQed. We explain. 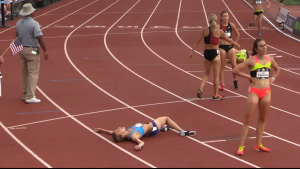 Leah O’Connor wiped out on the last barrier. *MB: Ben Blankeship appreciation thread. 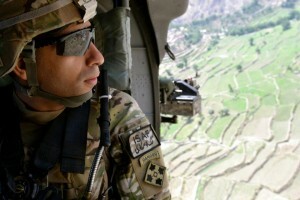 Thanks for not being a pansy and leading the race. 1,500 Final: LRC Matthew Centrowitz Amazes & Robby Andrews Kicks His Way Onto US 1,500m Team As Leo Does What He Always Does (Updated with new Beijing team info) What a race. Matt Centrowitz destroyed everyone with the largest margin of victory since 2004, Robby Andrews had an incredible kick, and Leo Manzano had his 10th straight top 3 finish. Juniors: LRC: Blake Haney Takes Down Andrew Hunter & Grant Fisher To Win USA Jr. 1,500 Title Haney got the best of the high schoolers Haney and Fisher. Post-race video with all three. Richard Kilty Is Irate Zharnel Hughes Is Now Running For GBR We’re not sure who he thinks Hughes should run for since he has a British passport and his country can’t go to the Olympics.